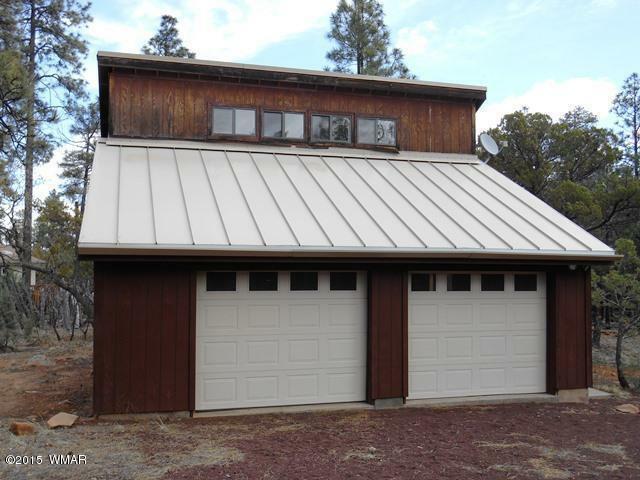 Rare Find....2.75 Heavily treed with a lot of Ponderosa pines-a Studio above a 2 car garage. The studio has sleeping quarters-kitchenette-and a 3/4 bath. All utilities are hooked up-well share-septic-and electric and functioning. Horse OK -#1321 Square footage on living quarters are aprox.